35 levs in a fun online banknotes puzzle. 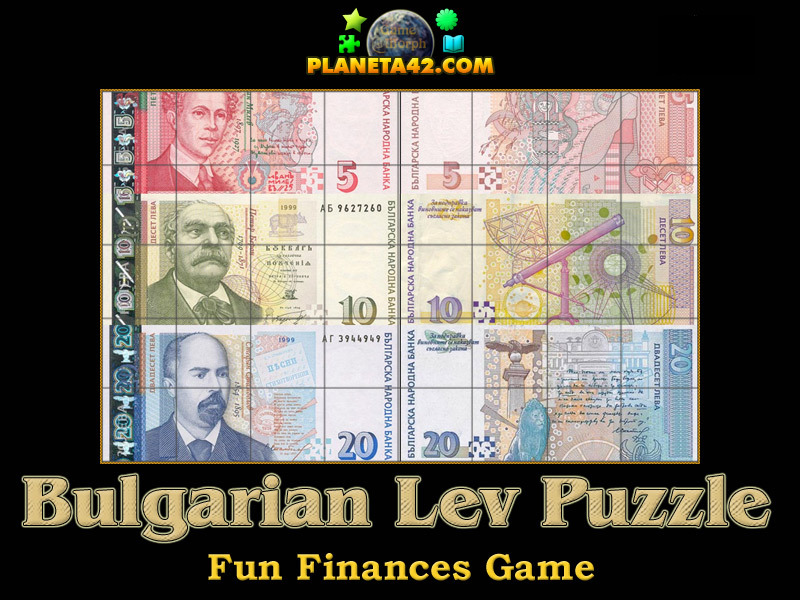 The "Bulgarian Lev Puzzle" is a free online knowledge level game, about the outlook of the Bulgarian Lev banknotes, including one 5, 10 and 20 lev bills. It is a small square rotating puzzle for desktop computers, laptops and tablets, which may be played in the web browser. Align the squares to fit the lev banknotes picture. The Economics Knowledge Board include 40 picture pieces of the lev to sort out. Part of the Interactive Personal Finances educational tools. 1. How does 5 levs back and front banknote looks like? 2. How does 10 levs back and front banknote looks like? 3. How does 20 levs back and front banknote looks like? How to play Bulgarian Lev Puzzle. The picture is split in 8 columns and 5 rows, forming 40 squares, appearing in different positins. and aligning more squares of the image, will reveal even more. Know 3 Bulgariann lev banknotes in circulation during 2016. 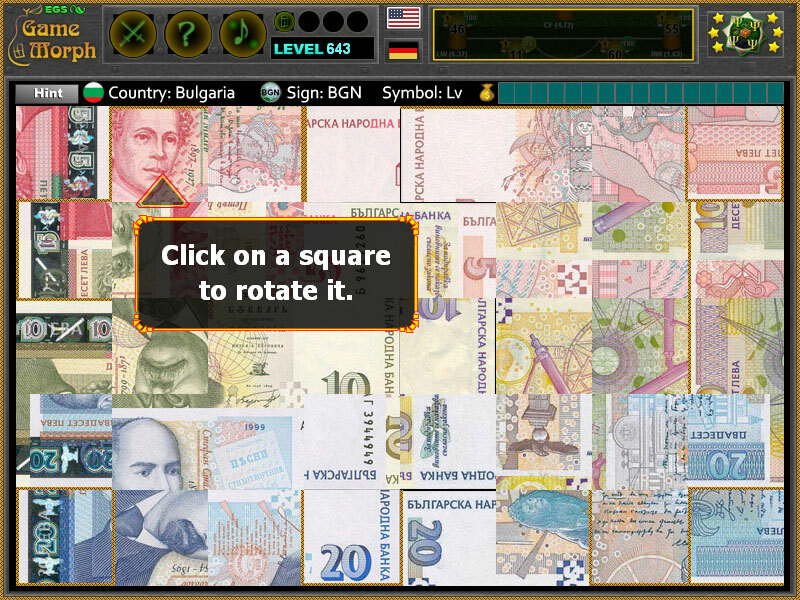 Here is a gameplay movie how to play Planeta 42 banknotes puzzles on YouTube. Labels: Games with Banknotes , Puzzles , Flash Games , Economics Games , Education Games , Free Online Games.